Born in Milan in 1918, Achille Castiglioni graduated in architecture at the Milan Polytechnic and from 1944 dedicated himself to architecture, urban planning and design with his brothers Livio (1911-1979) and Pier Giacomo (1913-1968). Together they experimented with new forms, techniques and materials, aimed at developing a process of "integral design". In 1969 he was nominated Professor of Artistic Industrial Design; he chaired the Faculty of Architecture in Turin until 1980 and taught in Milan until 1993 as Professor of Industrial Design at the Polytechnic of Milan. MoMA's permanent collection in New York holds fourteen of his works, and he earned nine Compasso d'Oro awards during his long career. Many of the objects designed by Achille Castiglioni have been produced by companies including Alessi, B&B Italia, Danese, Driade, Flos, Cassina, Gavina, Olivetti Synthesis, Poltrona Frau, Kartell, and Zanotta. 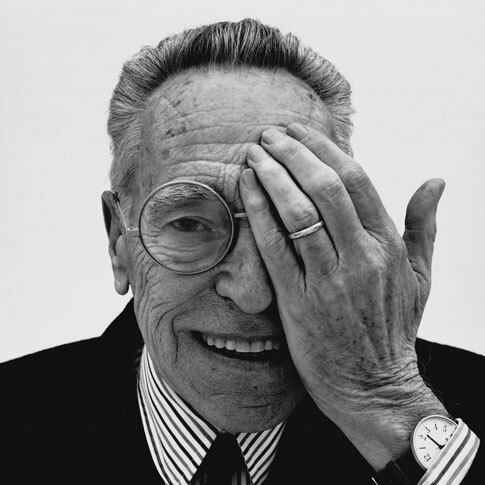 Achille Castiglioni died in Milan on December 2, 2002.